Amie Kaufman is one of those authors that, for me, never disappoints with her amazing writing, and I'm always excited to check out something new by her. 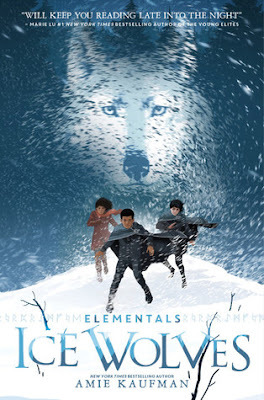 When I discovered Ice Wolves, the first book in her brand new middle grade series, Elementals, I knew I would have to check it out. I'm so glad that I did! I really enjoyed the book, and I think this series is off to a really great start! Ice Wolves is a story about a young orphan boy named Anders, who lives on the streets with his sister, Rayna, doing what they have to do to make it through another day, and keeping each other safe at all costs. When they discover that they can take on elemental forms, one of a wolf, and one of a dragon, they wonder if what they know of their past is even true. And when Rayna is stolen away by the dragons, Anders does the thing he wants to do the least in order to save her. 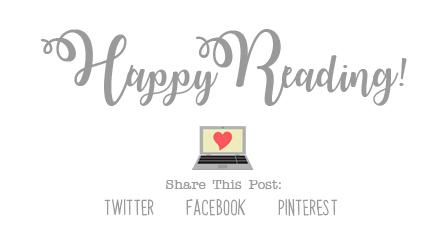 I've read quite a few middle grade books this month, which I unfortunately don't get to do much lately, and I'm amazed at how different they are than the books that were around when I was younger. Ice Wolves is no exception. It has a great cast of diverse characters, and while the story is fantasy, it also has some extremely relatable situations as well. I love that! I also really enjoyed the storyline for this book, especially the parts about the dragons and the wolves being enemies. I feel like I can guess which direction the storyline is going to take in the next two books, but I'm excited either way to read them to see what happens next. Overall; Ice Wolves is a really great beginning to what should prove to be a really entertaining series by Amie Kaufman! I will most definitely be keeping my eye out for information on the next book in the series, which at the moment is currently untitled, and set to release sometime in 2019. I can't wait to check it out! If you're a fan of Amie's work, or if you're just a fan of really addictive middle grade fantasy, do check out Ice Wolves! March 2018 Wrap Up & Book Haul! Emergency Contact by Mary H.K. Choi • Q&A! !